What is PMG Certification Verification? Enter a note's PMG certification number (circled in the image) and grade to confirm its description and grade in PMG's database. This tool can help you to verify that your PMG holder is genuine and has not been tampered with. For notes that have a grade of 1 to 70, enter the certification number, select the numeric grade in the dropdown menu and click "Go." For notes that do not have a numeric grade, enter the certification number, select "Non-Numeric" in the dropdown menu and click "Go." Learn how to submit notes to PMG for expert authentication and grading. 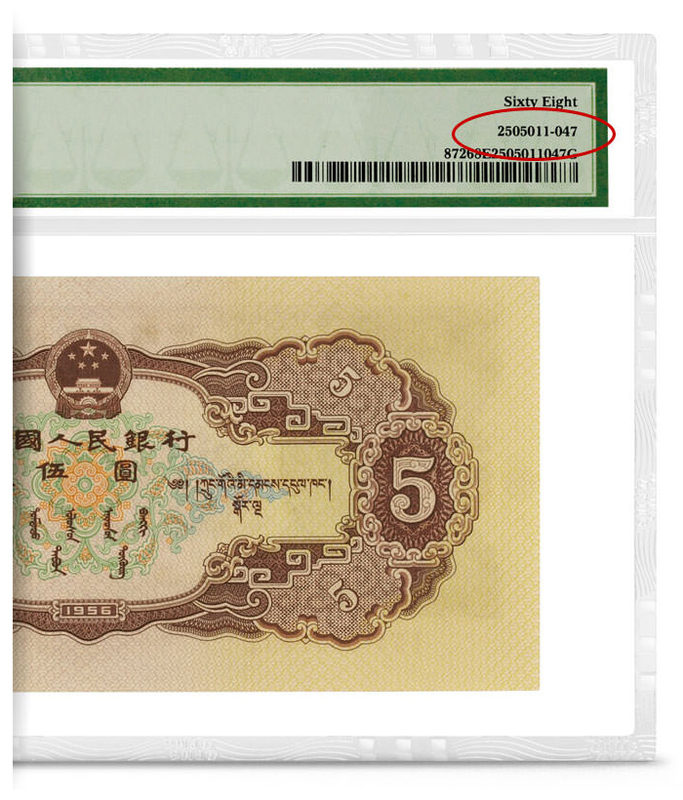 Discover the relative rarity of PMG-certified notes. Explore the world's most comprehensive online paper money valuation guide.